As I said before since all the member of my group will not be completing their service on the same day we were given a celebration dinner by Peace Corps. It took place at the hotel were were staying at in the room where we ate our free breakfast each day. It was catered by the hotel and was one of the nicer meals I had ever had in Morocco. We started off with a salad and then a small first course followed by plate with beef (the closest thing I had ever had to a steak in Morocco), and side dished. We finished with a plate of fruit for dessert. A tradition among volunteers who are going to be leaving soon is to write superlatives for each member of the group. Most likely to...(some kind of witty thing about this person usually in relation to Morocco) I was given most likely to ride home in the planes cargo hold in order to save money. Yes they are right I'm very frugal. Some other superlatives were: Most likely to give a presentation on a Turkish toilet wearing a 3-piece-suit and most likely to stab a child before service is over. The dinner included a DJ. During dinner the music wasn't far off from that of a dentist's office and it made me doubt the DJs ability to select good tunes. But when the dessert came out so did the dancers. Cara and Ben that is. The two of them struck up a salsa partnership and all of us watched. My doubt in the DJ was wrong. Pretty soon he was playing tunes that got everyone on their feet. We had a nice mix of salsa, swing, Moroccan, and the ever present techno music. 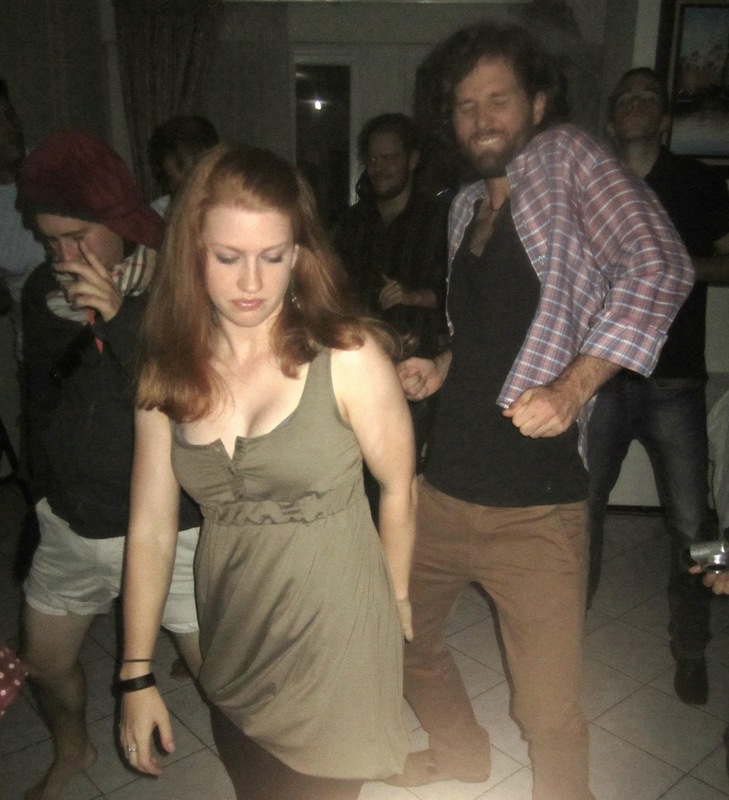 Dancing with fellow Peace Corps volunteers is always a good time. Some people are so fun to watch. Most of us don't care what we look like on the floor because there are no judgments given. I was pleased that Peace Corps gave us this final celebration with our friends it was a fun way to relax with everyone and spend time together.